Kale is what you might call a trendy vegetable, and it’s no wonder: It can be prepared so many different ways, and it’s good for you. It’s rich in fiber, vitamin C, iron and calcium, and you can use it as a substitute for spinach in many recipes. This is a great way to try kale as a standalone dish. It’s delicious and can be whipped up in only 10 minutes. It’s a combination of coconut milk, ginger, lime juice, kosher salt, jalapeno and chopped kale. Find the recipe here. 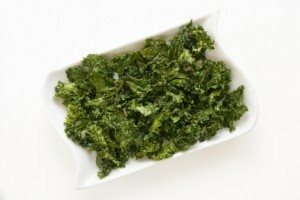 In this simple recipe, you toss curly kale with extra virgin olive oil and garlic, then roast it. The dip involves whisking the yogurt with lemon zest and juice. This is sure to be a hit with the entire family. Get the recipe here. This colorful—and hearty—salad is pleasing to the eye as well as the taste buds. It’s a nice blend of sweet and savory flavors, with pure maple syrup, apples, champagne vinegar, sliced pancetta, radicchio, shredded kale and pecans. Look for the recipe here. Wow your family and friends with this vegetarian twist on the taco. Instead of serving beef or turkey, you combine kale with sweet potato and garlic, then top it with avocado and crema mexicana. The delicious mixture is served on corn tortillas. Get the recipe here.